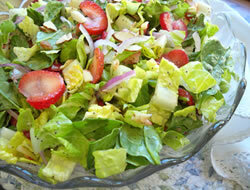 A fresh and crisp salad with a light dressing. 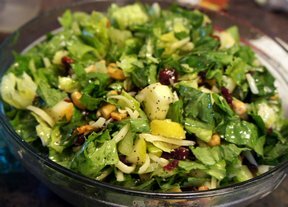 The combination of pears and apples with the lettuce is absolutely delicious. 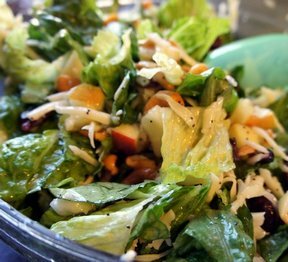 It won't keep with the dressing on it but no need to worry as everyone will eat it right up! In blender or food processor, combine sugar, lemon juice, onion, mustard and salt. Cover and process until blended. With machine running, add oil in a slow, steady stream, processing until thick and smooth. Add poppy seeds and process a few seconds to mix. 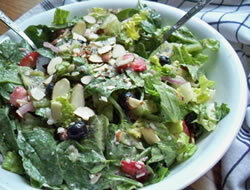 In a large serving bowl, combine all salad ingredients; toss to mix. Pour dressing over right before serving and toss to coat. "Brought this for Thanksgiving and everyone raved about it!"